driver who were part of a pipeline vandals syndicate using a Lagos hotel as base. The reporter gathered that the surveillance team traced the smell of petrol to a burst pipeline which was channeled to a waiting tanker at Glonik Hotel in Abule Egba area of Lagos. “This act has been going on for a long time because their tanks had changed colour as they had been storing patrol in it,” the team leader, Mr Aminu King, told reporter. Reporter also gathered that policemen attached to Ijaye Division also responded to a distress call from the scene which almost led to a rivalry between the security operatives. 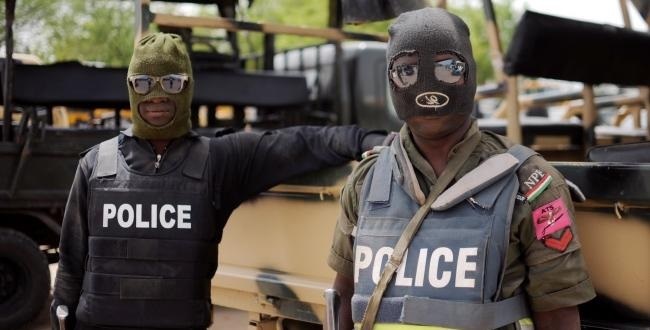 Reports that five tankers and two tanker heads were packed at the scene as the NNPC surveillance team, Policemen, OP MESA team, OP AWATSE and the Lagos Neighborhood Safety Corps cordoned off the area.